Yardage - Whole Yards Only Note ! If you need more than the 20 Yards we currently have in stock, please make a different selection as additional yardage is not available. In stock yardage is typically shipped within 2 business days. 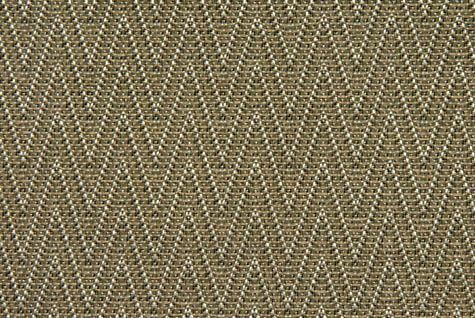 Sandstone Flame is a woven, textured, contract grade flame stitch pattern in Fern Green, Pale Gold and Silver Grey. With great durability this fabric works well in any setting where high traffic is a consideration. Sandstone is suitable for drapery, curtains, cornice boards, pillows, cushions, table toppers, bedding, headboards and furniture upholstery.